Natural Foam Colour Plain Molded PU Sofa Cushions, Size: 21"/22"/4"
- Molded foam for firm back support. - Removable poly cotton cover. 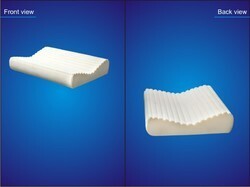 PU Foam Cushions: PU Foam cushions & pillows give good support to the head and neck. These attributes of the foam provide several health benefits and utmost comfort. 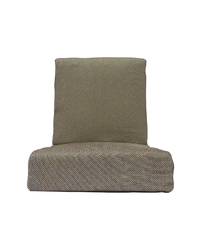 These are available in different sizes and qualities as per individuals requirement.These cushions promise best comfort level at competititve prices. We provide Moulded PU Cushions that is used for making cafeteria, office chairs and sofas. Fabricated using PU material, these cushions does not absorb water. We are looking queries from Uttar Pradesh only. Polyurethane moulded foam made from chemicals by global market leaders. Key Features Color: White. Size (in inches): 14" x 14" Material: Rubberized coir topped with premium grade pu foam.